Even well-designed wireless networks encounter some problems inside office buildings or parking lots. The proliferation of IP-based networks has spawned more options for carrying signals in hard-to-cover areas, but finding the right fit means network designers need to get creative. 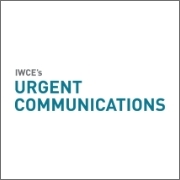 Association of Public-Safety Communications Officials International President Vincent Stile recently wrote Sen. John McCain (R-Ariz.), urging him to take action concerning the regulation of voice-over-IP services.